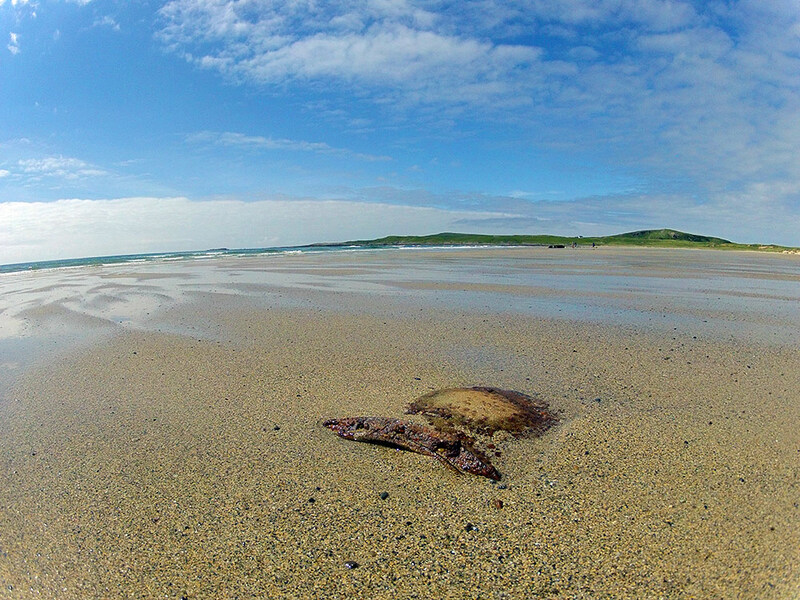 Similar to the one sometimes seen in Saligo Bay at times the remains of a rusty old WWII mine can be spotted on the beach in Machir Bay. In the background you can see the old wreck and Coull. This entry was posted in Beaches, Landscape, New Post, Sunny Weather and tagged Cnoc Mor, Coull, Islay, Kilchoman, Machir Bay, Rhinns of Islay, wreck by Armin Grewe. Bookmark the permalink.